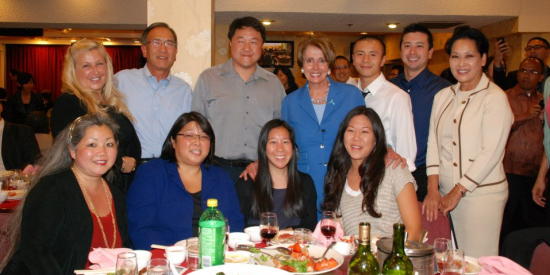 SAN FRANCISCO — Coming full circle to her roots, Rep. Nancy Pelosi (D-San Francisco) was honored by nearly 1,000 members of the Asian American community of San Francisco for her 25 years of service in the Congress at a tribute reception and banquet on Aug. 28 at New Asia Restaurant in San Francisco’s Chinatown. 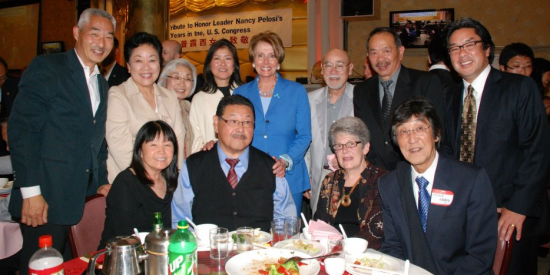 In 1987, even before she opened her campaign headquarters, Pelosi made her first appearance in public as a candidate for the U.S. House of Representatives at a community gathering and fundraiser in Chinatown. 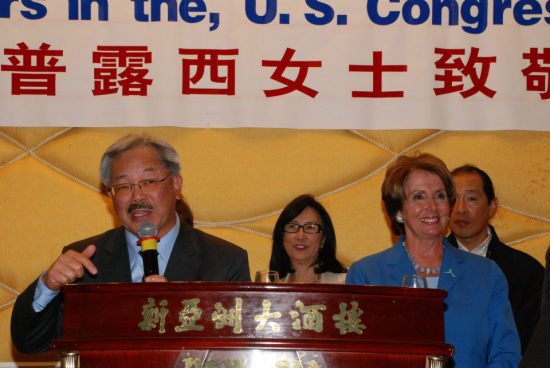 China Reunification Alliance of S.F.